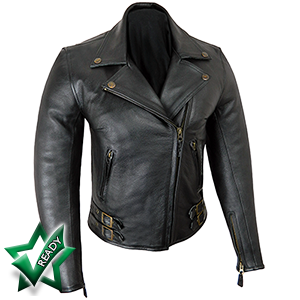 What are you looking for in a leather motorcycle jacket? 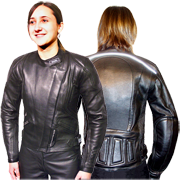 Well-fitting, quality-made, reasonably priced ladies leather bike jackets that offer oustanding levels of protection are our thing. 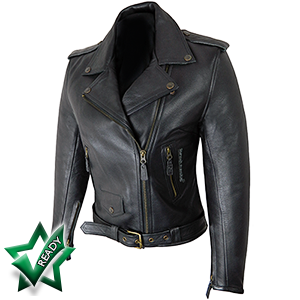 We want you to feel confident and comfortable in a leather jacket that feels right for you. Judging by the fantastic reviews we receive from our wonderful customers, we've been doing a good job over the last 40 years! "So many bike shops seem to imagine that women are only pillions and don't ride their own. I ride in all weathers and dress to hit the deck. Bikers Paradise understood that and had suitable products. 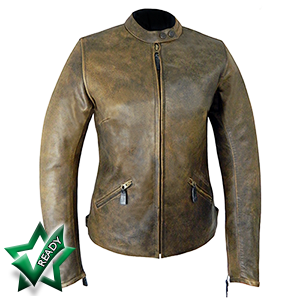 ", "You were brilliant and the jacket is beyond gorgeous", "Looks stunning and the quality is outstanding", "Bikers Paradise size guide is first class and so is the quality of the jacket and service"
We're not satisfied unless you feel your needs are met. And we're always here for you, long after your purchase. What is the BP LIFETIME GUARANTEE? 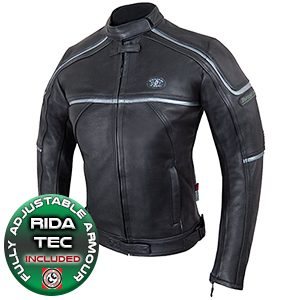 Designed for style and protection. 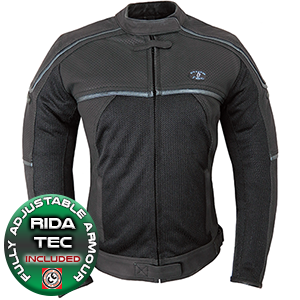 Fully adjustable CE shoulder & elbow armour included. CE Back Protector upgrade available. 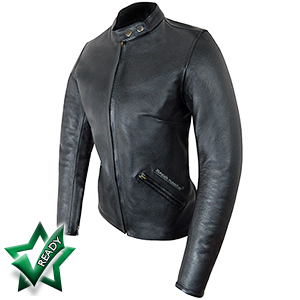 One of our most popular motorcycle jackets, the Elite Patrol is stylishly designed in supple, 1.2-1.3mm cowhide. An alternative to the gunmetal fittings of the Elite Patrol, the Elite Patrol Classic has chrome zips and fittings that stand out just that bit more. 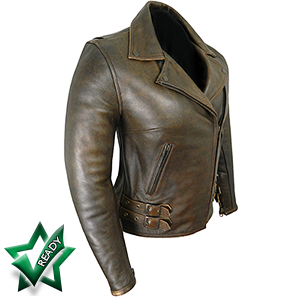 Choose something a bit different with our classically styled Elite Patrol jacket in antique brown, 1.2-1.3mm cowhide. 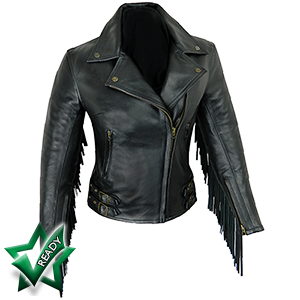 The fringed version of our ever popular Elite Patrol motorbike jacket. 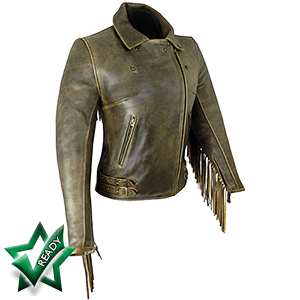 If you'd already decided that our unusual antique brown leather was the choice for you, you could go one step further with our stunning 8" fringed, antique brown leather motorbike jacket. Great flattering style and top quality construction. 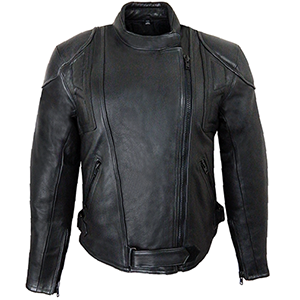 The Retro leather jacket is your perfect summer bike jacket that allows you to ride safe and in style through the warmer months. 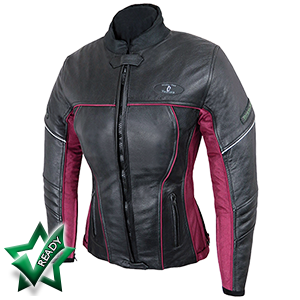 Made in a mixture of supple black 1.2-1.3mm cowhide and burgundy textile. 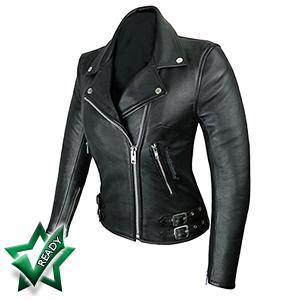 Our famous jacket, the one everyone wants!